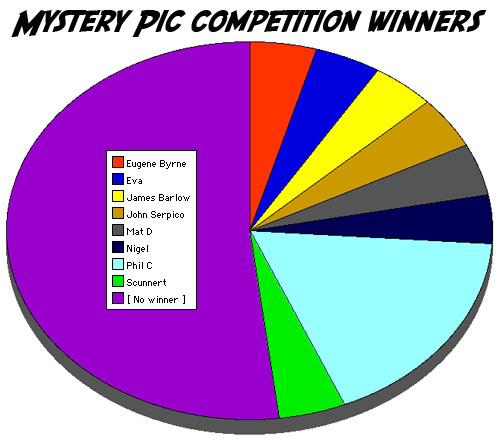 Out of 32 competitions, 23 have ended, with eleven films correctly identified. Phil C is the runaway leader, with four rounds under his belt, whilst Eugene Byrne, Eva, James Barlow, John Serpico, Mat D, Nigel and Scunnert share the crowded second place rostrum with a single win each. In addition there are nine other games still open (#023-028, #030-032). Decode the picture and identify the film – place your answer in the comments. PhilC nailed it with the second guess – it’s Nick Love’s 80s Costa Del Crime flashback The Business. Rikki Coleman (Rhoda Griffis) Vanessa Lembeck (Jennifer Beals) is found unconscious and in a pile of her own mess in actually-not-too-bad Grisham adaptation Runaway Jury. Thanks to Audrey Horne in the comments for pointing out the ID error! 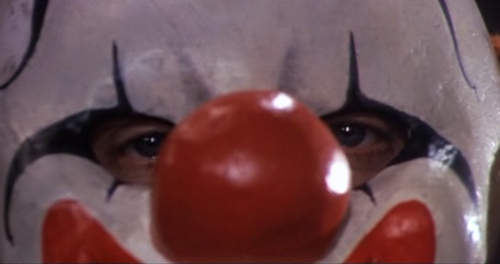 If you know what film this, kudos to you… Place your bets below. 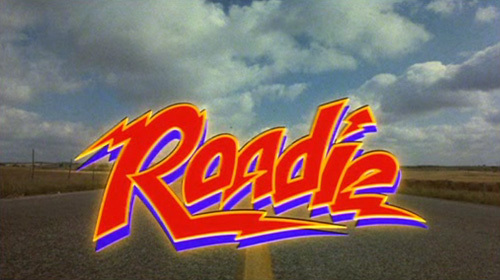 Sorry folks, don’t think anyone’s going to get this – it’s Meatloaf vehicle Roadie (which is actually quite good). 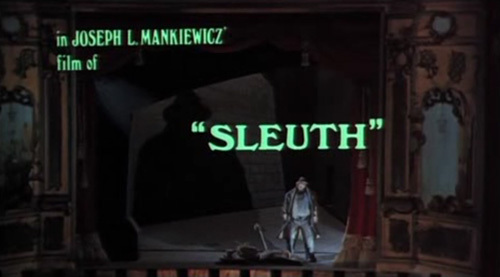 Phil just nailed it – it’s Joseph L Mankiewicz’s screen version of Anthony Shaffer’s cuckold mind game play Sleuth (that’s Michael Caine behind the mask). One of down-at-hell gumshoe Mitch Hennessy’s (Samuel L Jackson) junkie cohorts throws up during a shakedown in The Long Kiss Goodnight. Supermarket psychology bestseller of some tabloid TV pundit hauled in to comment on the Nakatomi siege (remember the ‘Helsinki Syndrome’ blooper?). Poster on the side of the power guy’s van as the FBI stick their Johnsons in the mix. Ulli enjoys some baby-murdering candy whilst waiting for the hostage crisis playbook to be thrown into operation. Random graffiti near the elevator access space. Hmmm… Bill Clay, you say? That’s a good quality fake driver’s license, right John? Handy numbers in case you ever need to contact Nakatomi. I love all the internet chatter around how the C4 explosives in the film are apparently sporting inauthentically coloured wrappers. A bumper crop of Die Hard screengrabs to celebrate the centenary post of Framed Documents.